Ever wanted to do parkour and quickly locate the best places to train? Tired of going to the same spot because you don't know any better ones ? You want some good friends to train with ? URBN Jumpers got your back ! 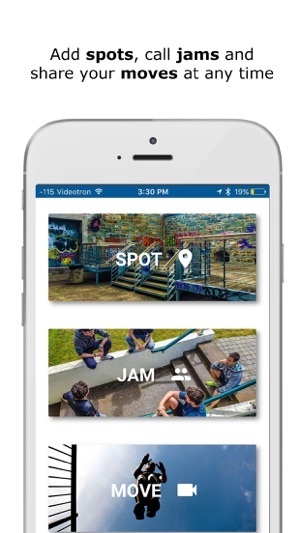 Everyone's best parkour spots and the possibility to call and join jams. This is URBN Jumpers ! Finding new spots has never been this easy. 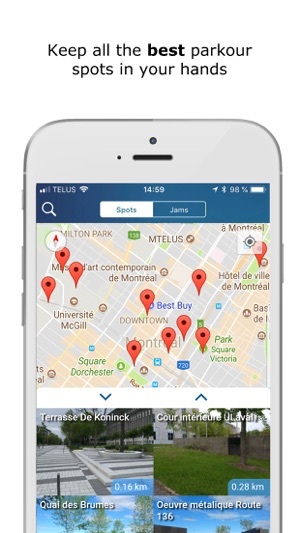 With an intuitive interaction with the app, you will be able to easily navigate through a map and see every spot added by other users in your surroundings. You can also scroll through a list of all these spots and use a filter to search them by distance, by rating and by features. Want to make new friends who like parkour as much as you do ? What better way to do so by seeing where they train or tell them where you plan on going ! Scroll through a list of upcoming jams to join or call one yourself at any spot to let everyone know you’ll be there ready to meet new traceurs ! You know a spot that’s not on the app ? Amazing ! Add it to make it visible for other Jumpers. It’s this principle that makes URBN Jumper’s strength. By combining all of our knowledge under one community, we can improve the experience for everyone ! Every spot comes with a description page containing all the info you need to get a good feel of the spot. On this page, you will find pictures, reviews, feature tags and of course the address of the spot. You can even get the directions to get to any spot! 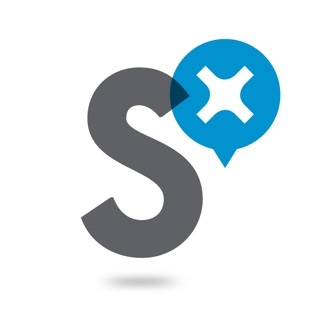 Let other users know what you think about the spots you tried.You can also have a look at other users reviews to get a good idea of what to expect before reaching a new spot. You found a new spot that you really like ? Make it even easier to find next time by adding it to your favorites. All your favorites and added spots are all easily accessible via your profile page. 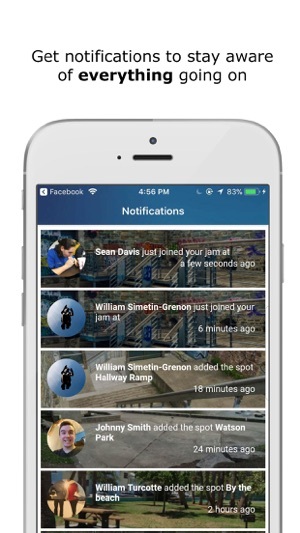 Probably the most useful parkour app I’ve ever tried ! Great features and great visual 👌. I recommend it to all of you. 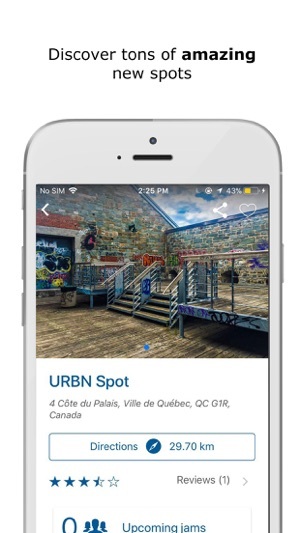 It's a really great app to discover new spots! I use it every week! Continue your good work, I love the idea behind the Jams! 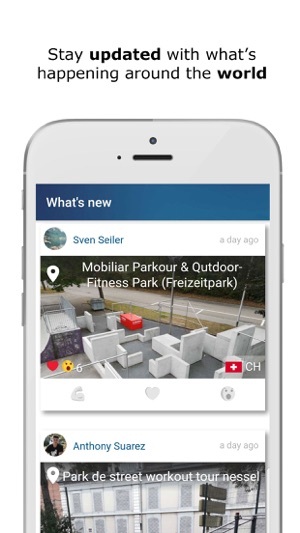 Amazing app for anyone who likes parkour !